November 15-16 | Washington D.C.
Robert Herjavec, a dynamic entrepreneur and a leading Shark on ABC’s Shark Tank. David Bem, Ph.D., Vice President, Science & Technology and Chief Technology Officer at PPG. He oversees innovation across a portfolio of key segments todrive adoption of new paint and coatings offerings in products ranging from automobiles and airplanes to electronics and home care goods. Bem began his career at UOP, a Honeywell Company, where his work was centered on the synthesis and applications of zeolites and microporous materials. In 2000, he became R&D director of Torial, a subsidiary of UOP, and developed and commercialized high-throughput tools for heterogeneous catalysis. In 2002, Bem joined Celanese Corporation as R&D director for acetyls, oxygenates, and acetone derivatives, where he was responsible for advancements in acetic acid and vinyl acetate technologies. 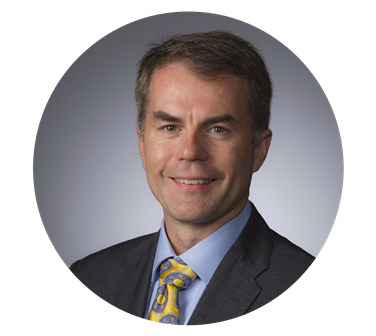 In 2005, he became a member of the Celanese Corporate Executive Committee and R&D director for Engineering Polymers/Ticona. Bem joined Dow Chemical in 2007 as the R&D leader for Hydrocarbons & Energy, Alternative Feedstocks and Basic Chemicals, and a year later became R&D director for Dow Automotive. Later, he served as R&D director for Core R&D, leading early-stage exploration of disruptive technologies and development of new businesses. Bem became vice president of R&D for Dow's Advanced Materials business and was later named vice president, R&D Consumer Solutions and Infrastructure Solutions. He joined PPG in November 2015. Bem holds a bachelor's degree in chemistry from West Virginia University and a Ph.D. in inorganic chemistry from the Massachusetts Institute of Technology. Bem is active with many industry organizations and is a member of the Board on Chemical Sciences and Technology (BCST) and serves on the Board of Directors of the Pittsburgh Carnegie Science Center. He holds nine U.S. patents and has authored more than 20 publications. Dr. Sanna Gaspard, Ph.D., Founder & CEO Rubitection, Inc.
All sessions, breakfast, lunch, breaks and networking each day.